By learning from a mentor who’s already done exactly what you want to do. Luckily, in today’s technology-filled age, we don’t need to go out and find a mentor. We can just download a podcast and have the world’s greatest minds right in our ear. How cool is that?! 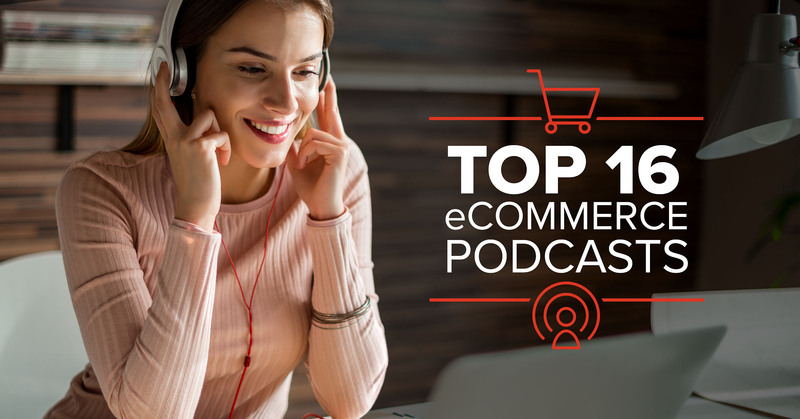 In today’s article, I’m going to reveal the 16 best eCommerce podcasts you need to listen to if you want to open and/or grow your online store. As a bonus, I’m also going to share my three favorite episodes from each podcast and some key takeaways, so you can jump in right away. Let’s get started! EOFire (also known as Entrepreneurs on Fire) is an award winning podcast run by the one and only John Lee Dumas. EOFire focuses on the individual journey of every entrepreneur on the show. JLD asks questions about what drives each guest, when they had their first “Ah-ha!” moment, and what their worst entrepreneurial moment was. So you get to hear the mistakes as well as the successes. The EOFire podcast is a great way to get and stay motivated, and realize you’re not alone on this journey. 1. Episode #1272: Tony Robbins helps us master the MONEY game with value bombs galore! As many entrepreneurs already know, Tony Robbins is a billionaire philanthropist, business expert and best-selling author. In fact, all five of his books are best sellers! In this episode, Tony talks to John about why you should have an income for life that’s separate from your business. Especially if you're main income is your online store. You’ll also learn that fulfillment doesn’t come from success, but from contributing to the world. Quick fact: Amanda was named one of the Top 30 Entrepreneurs Under 30 by Influencive. She’s an internationally renowned marketing coach who believes in working smarter, not harder. In this episode, Amanda talks about how your life (and the choices you make) is what complicates your business. She then gives you tips on how to simplify your life, while giving value bombs that’ll allow you to create a clear vision for your business plan. In this episode, JLD interviews yours truly! I reveal how I was able to rank on Google’s front page (driving thousands of visitors per day) in less than three months, and how you can too. Leave a comment and let me know what you think if you listen to it! Cha-Ching! is a newer eCommerce podcast but the host, Kevin Wild, is not a new player by any means. Kevin is a monster entrepreneur and co-owner of the clothing line Fat Rich Wild. He also works as the Head of Partnerships here at Bold Commerce. Bold Commerce’s podcast brings on entrepreneurs, eCommerce experts, and online merchants. Each episode includes fascinating discussions on topics ranging from how to scale your business to how to increase average order value and more. Cha-Ching offers the down and dirty strategies for growing an eCommerce store. You may have heard of (or seen) Andrew pitching the Fresh Patch on Shark Tank. In this episode, Andrew talks with Kevin about his experience on Shark Tank and how he came up with the idea for his invention, The Fresh Patch. He also shares with Kevin his secret to hiring (and keeping) great people. In this episode, Darin Hager, founder of Heyday Footwear, stops in to share some of his best eCommerce tips and tricks. Darin and Kevin talk about how mobile commerce is the future (there’s a 70% chance you’re reading this on mobile). They also discuss the best way to handle pre orders and out of stock situations - which are really important when running an online store! This episode teaches listeners how Dani and Alex were able to create more sales (and customers) by utilizing Instagram and influencers. They also go over how important trade shows were to their business and how giving products away (for free!) got them more exposure online. Kurt Elster is a Shopify Plus expert and host of the Unofficial Shopify Podcast. His goal is to teach entrepreneurs on the online retail platform how to scale their store into 7 figures and beyond, as well as sniff out strategies that bring in huge sales and happy customers! It may not be endorsed by Shopify but, in my opinion, it should be! And in this episode, he drops some serious value bombs. Jay and Kurt discuss how to use upselling and cross-selling to massively increase your average order value. Pro Tip: You can automate this strategy with our Product Upsell app! In this episode, I had a great a conversation with Kurt about how to rank your store on Google and use your blog to grow your sales. We also talked about what it takes to find a good content writer, what most people do wrong, and why content marketing is underutilized in eCommerce (and therefore less competitive!). Being inspired through involvement in the business builders club at Ohio State, they used their network to advertise and create sales via social media. They rebranded an already existing jerky production and made it insanely successful by tapping into influencers in gaming and turning twitter followers into buyers! I may be biased because I’m a gamer, but you can’t miss this episode. The Jason and Scot Show is something rare in the realm of podcasting. They take what can be a somewhat dry subject and make it crazy interesting through fun and conversational dialogue! 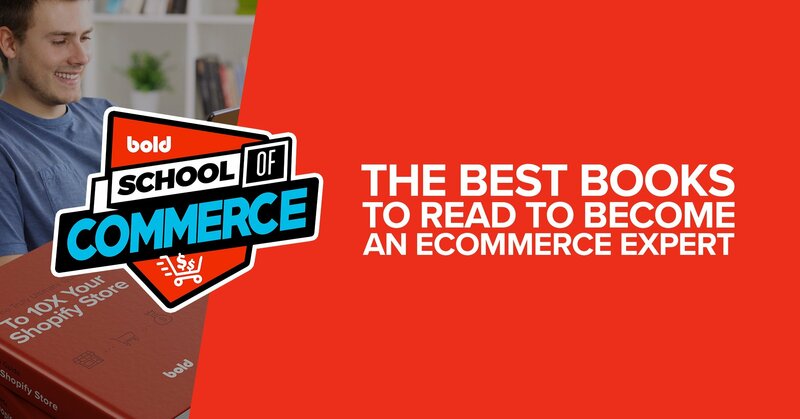 This was undoubtedly one of the best eCommerce podcasts of 2017 and I’m sure it will continue to be in 2018. Why’s that? Because these two have some serious real-world experience. Jason is the Senior Vice President of SapientRazorfish, a digital impact agency. Scot has started four successful startups, three of which he was able to sell! Melissa Burdick worked at Amazon for ten years as a Category Manager, Senior Program Manager, and Senior Product Manager. In this episode, Melissa recounts her experiences while being an Amazonian. She talks about Amazon’s evolution of CPG (consumer packaged goods) platforms as well as the early stages of Amazon. A really fun segment of the interview is her deep dive into Amazon’s advertising platforms, as well as what she sees as the future of eCommerce. This episode digs deep into one of the biggest acquisitions of last year - Amazon buying Whole Foods for $13.4 Billion. Jason and Scot go down the list of how grocery chains as a whole are affected, the terms of the deal, as well as who wins and who loses in this deal. It’s noted that grocery stores are one of the few industries not yet changed by the digital age and how that may be about to change with the Amazon acquisition. In this episode, the guys bring on Andrea Leigh, a consultant who helps Amazon sellers rake in the cash. She’s a former Amazon merchant and now runs her consulting through her business, Ideoclick. Andrea explains why it’s important to sell on multiple retail channels in case one changes to only offer private label (among other reasons). She also touches on why it’s important to negotiate terms with Amazon when selling on their platform. 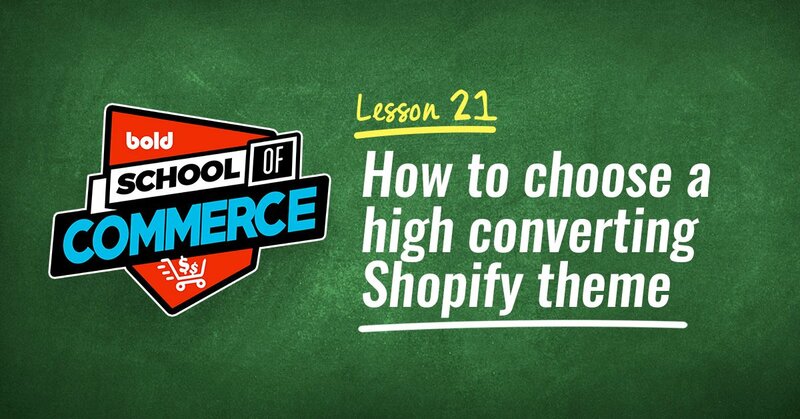 You can’t talk about eCommerce podcasts without mentioning Shopify Masters. Felix Thea is the host and founder of Traffic and Sales, a site that offers actionable tips to help store owners, well, increase traffic and sales! Felix offers his listeners advice on how to create winning products and launch a highly successful online store. I personally love how he shares real experience with different marketing tools, and tells you exactly which ones are worth the investment (and which aren’t). This episode is one of our favorites! Felix is joined by Kwaku Nornoo, founder of The Passionate Pug, a merchandise store for pug-lovers. Together, they reveal the Facebook ad strategies that brought The Passionate Pug to 6 figures and beyond. You’ll learn how to optimize your Facebook ads, which will help you find people who are passionate about your products! This episode tells a tale of an entrepreneur who needed to get creative with his marketing plan by investing in viral video content. His name? Bobby Edwards. His secret is obvious if you’re seen their commercials: Make your marketing funny and educational! Then, let influencers talk for you and use their audience to your benefit. In today’s hi-tech world, it makes sense that more and more businesses deal with non-physical products, like courses or eBooks. In this episode, Felix interviews Eric Miller, the founder of UX Kits, a company that makes UX deliverables (like site flowcharts) look amazing. Eric gives insight into what creating a digital product is like, as well as the pros and cons of digital business. For example, all digital means less overhead and higher profits - but it can also be harder to sell. Steve Chou’s wife, Jennifer, was pregnant with their first child when she decided to quit her job and raise her family. Steve knew it was time to take charge of his life and gain a greater sense of financial security. At the same time, he wanted his wife to quit her job. Through this, Bumblebee Linens was born. By opening an online store, Steve and Jennifer were able to rake in $100k in their first year! Now they want to give back and teach other people how to open a store and change their lives. Thus, their podcast - My Wife Quit Her Job. This episode welcomes Ian Schoen. Ian also hosts a popular podcast and blog called Tropical MBA. He’s also one of the minds behind Dynamite Circle, a community for entrepreneurs, as well as the founder of Two Tree International, a design and manufacturing firm (which sold for seven figures in 2015!). Ian teaches listeners how he grew Two Tree International to seven figures, reveals his traffic and sales channels, and explains why he decided to sell his company. In this episode, Steve interviews Will from StartupBros, a website dedicated to teaching people how to start their own online business. Will is on the mic sharing secrets that made him $7.5 million! He also fills you in on what his criteria for selling a product is and what his process to enter a new market is, such as the level of competitiveness, how long people use the product for, and competitors prices. At the 100th episode mark, we finally meet the inspiration behind Steve and Jennifer’s own success! Listeners get a different insight on how the host’s business started, as well as how the two work well together as an entrepreneurial couple (despite having different personalities). Jennifer also shares her process for buying what she knows will sell well and how to deal with foreign vendors. Build My Store is a great online retail podcast. The hosts, Terry Lin and Travis Marziani, know how to ask the right questions to draw out the most actionable steps to success. About the hosts: Travis is in charge of an online store named B Dancewear and, less than a year ago, launched an new company named Performance Nut Butter on Kickstarter. Terry runs a company called Forever Home Blankets. Together they share what has (and hasn’t) worked for them, and they reveal all the blood, sweat, and tears that go into being successful in the world of eCommerce! In this episode, Travis fills listeners in about the effectiveness of email marketing. He explains that having an automatic email system is a must when engaging customers. He brings up an obvious yet often overlooked point, too: continuous learning. Listening to podcasts, reading blogs, and watching videos about eCommerce and business is a crucial piece of success. Travis also shares how to use chatbots and Facebook messenger ads to spread the word about your products! In this episode, Travis and Terry give you the ultimate checklist to opening up an online store. Naturally, the follow up to The Ultimate Checklist For Setting Up An Online Store, Part 1, should be included on the list! Niche Pursuits host Spencer Haws dives deep into the smaller segments of the online market. Spencer wants to teach everybody to market their site(s) through SEO. He also shares the stories of totally normal people who became successful in the online market. Jon Haver is a recurring guest on the Niche Pursuits Podcast, which is why he and Spencer skip the formalities and get right into it during this episode. 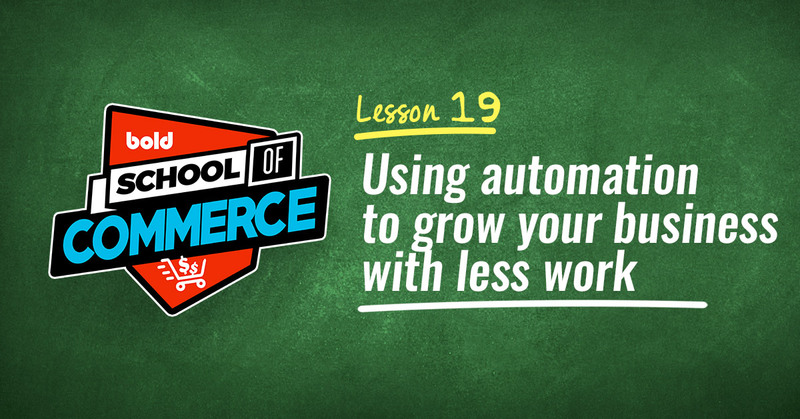 In this episode, Jon reveals how he grew his Amazon FBA business by purchasing affiliate websites and converting them into his own eCommerce stores in order to drive traffic to his listings. If you’re trying to grow an Amazon Associate site , you need to listen to this show. He built a multiple 6-figure website by following Spencer’s Niche Site Project 3.0 . Nick reveals his process for link building, creating content, and keyword research. He also talks about why he doesn't really value search volume, but rather the value of any given keyword. If you’ve built the foundation for your online business and you’re anxious to grow, this episode will inspire you! In this episode, Spencer welcomes Dee Bryant, the founder of The Dog Effect, which is a site for dogs and their owners. Dee is currently growing a dog-owner lifestyle site and talks to Spencer about the best way to do it! Creating keyword-focused articles and linkable content are two of her key strategies. Nerd Marketing is super fun. 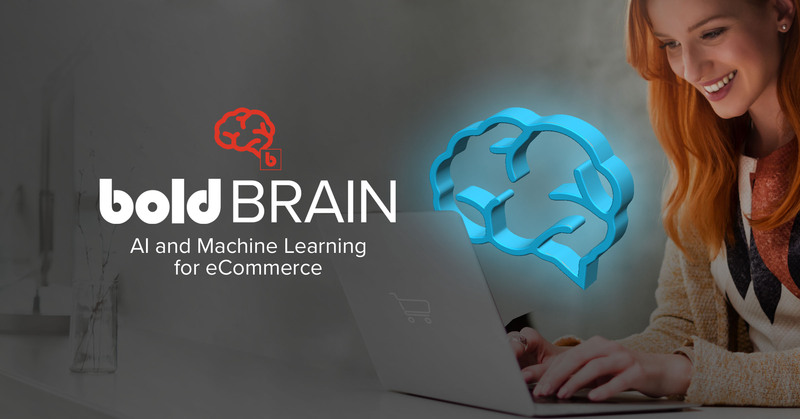 Drew, the host, focuses on “clear, actionable, data-driven strategies to grow your eCommerce business”. Sounds sweet, right? Drew also founded eCommerce shop Design Public, and turned the Karmaloop clothing store into a profitable company after being bankrupt only ten months prior! In this episode, Drew talks to Austin Brawner from eCommerce Influence to dive into the value of effective email marketing. They come together to talk about how most stores (and retail companies) don’t utilize email marketing correctly! In this episode, Drew and his guest, Sina Djafari, fill you in on the 6 key factors to which he owes his success! Drew talks about how to find the untapped demand from consumers by tracking keywords and the number of competing sites. In the second part of this episode, Drew and Sina finish mapping out how to create a million dollar eCommerce business. They conclude by saying that to build the best possible business, it’s important to build a brand around your best customers. Additionally, find which products or campaigns drive the most customers and put all your time, effort, and money behind those. They also get into why you should go all in on an online business. Sina has seen many people start businesses online as a side hustle, but they never seem to work out. Not having the time to learn about and differentiate from competitors really hinders people in the long term. eCommerceFuel is run by a team of goliaths in online business. Andrew Youderian and Laura Serino are amazing in their own right, but they’ve assembled one of the most impressive teams we’ve seen so far! Andrew is constantly bringing in eCommerce veterans to give listeners advice on how to be super successful, with actionable tips and expert commentary. Nobody knows exactly what the future holds… but we can make predictions! In this episode, Jason Goldberg, Senior VP of content at Razorfish (he was in another episode on this list), chats with Andrew about how advanced technology can really get. They reveal how current tech is great at determining a website visitor’s gender and decent at figuring out their age. And these technologies are only going to get better! They also talk about how, in the future, brands and companies may be able to control supply chains which would cut sellers and merchants out entirely. This episode is based on a live event done for members of the eCommerceFuel community. Bill D’Alessandro comes by and chats with Andrew about what they took away from the event and what direction they want to take in 2018. The two also discuss important lessons they learned at this year’s event. For example, Andrew learned that Facebook ad revenue is now 88% mobile and therefore it is important to tailor ads to a mobile experience now and in the future. Side Note: Go read and implement this guide to conversion optimization so you’re covered on mobile! This whole episode is about the importance of relationships and how to create great ones! It’s hard to pass up an eCommerce podcast like Smart Passive Income. The host, Pat Flynn, has been through it all. Pat graduated college with a degree in architecture and was thriving. However… when the economic downfall hit in 2008, Pat was laid off. Even worse? This was just a few months before his wedding! He shares his strategies to making significant amounts of passive income, while staying ahead of competitors (whether it be a blog, niche site, or online shop). Pat tells his listeners time and time again that podcasting is one of the best ways the further your professional career, gain exposure, and create a meaningful relationship with listeners in a way most platforms can't do. But why take his word for it? In this episode, he welcomes on not one but three new podcasters as they share how podcasting has affected them and helped them find new opportunities! Dr. Shannon Irvine loves to serve people, and podcasting helps her mentor anybody in the world! Rob Stuart, shares his secrets as a travel agent via podcast. He and his wife offer tips on how to save as much money as possible at Disney parks. Dr. Barbara Cohen always wanted to have an influence on people and was able gain this by hosting Harness Your ADHD Power podcast. In this episode, Pat describes the dark side of affiliate marketing, what to look out for, and what most people do wrong. He talks about how you shouldn’t promote products you don't really enjoy (and, of course, touches base on why you don’t want to promote products your customers won’t enjoy). Honesty is key, here! Being candid about product promotion and what it can do is very important. Nicole Walters takes the reigns in this episode and talks about how she was able to create a business while being a mom, how she differentiated herself when first started her online venture, and what exactly “the funnel after the funnel” is. Nicole, who has worked as a business executive for a number of Fortune 500 companies, talks about how she uses her community to scale her seven figure business as well as why she left a six figure 9-5 job to pursue a career online by founding NapNic (her very own beauty, hair, and lifestyle blog)! The Fizzle Show aims to help creative entrepreneurs reach their fullest potential through weekly podcasts. The podcast focuses on content marketing, productivity, self-employment, and motivation. In this episode, Corbett, Chase and Steph talk about how a positive shift in a person’s mindset can result in better sales! They also talk about how asking for feedback will help anybody grow into a better salesperson, as well as what the role of sales is in today’s eCommerce landscape! This episode could be considered somewhat dated, but what is dissected within is timeless in this arena and as useful today as it was in 2015! Email marketing should be something that really drives a small business (especially an online business). The gang talks about why and how to add value to a newsletter. They also touch base on why it’s important to know what your customer wants to see in their inbox and how to supply them with it! This episode is so important because, as independent entrepreneurs, not everything is going to work out according to plan. When things don’t go according to plan, it means something has to change. Should we forget about the brand entirely? Do we rebrand? Our hosts go through the elements in decisions like this and help listeners understand how to answer the question for themselves when this situation inevitably presents itself. This podcast is great for anybody who wants to turn their side hustle into a flourishing business. 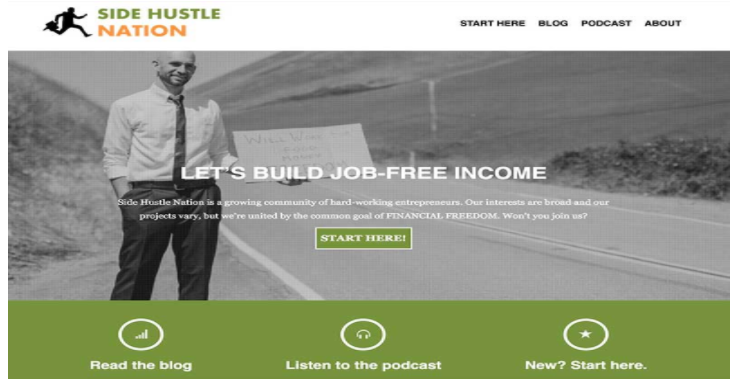 The Side Hustle Show covers a huge range of topics from dropshipping, websites, affiliate marketing, affiliate marketing, anything regarding eCommerce has been covered by this podcast. Nick Loper is the host of the podcast and has so many great interviews with eCommerce heavy hitters like John Lee Dumas, Anton Kraly, Tim Ferriss, and more! Dropshipping guru, Anton Kraly (the founder of Dropship Lifestyle), talks about the importance drop shipping in this episode. Anton explains to Nick that people should sell higher value items as opposed to lower value items (hint - you’ll get more ROI doing this). He also helps listeners understand how not to get fooled (or ripped off) by dropship suppliers. In this interview, Sam Gonzalez recounts how he was able to start making a handsome recurring subscription-based income. During this episode, he looks back on how he made the UrbaneBox (his eCommerce online clothing subscription plan), as well as how to build a website, how to conduct product pitches, the importance of social media promotion, and how to better use influencers in your niche. This episode features an interview with Tony DiLorenzo. He and his wife, Alisa host the #1 marriage podcast on iTunes (ONE Extraordinary Marriage show). How he (and his wife, Alisa) were able to build profitable, yet diverse, income streams. 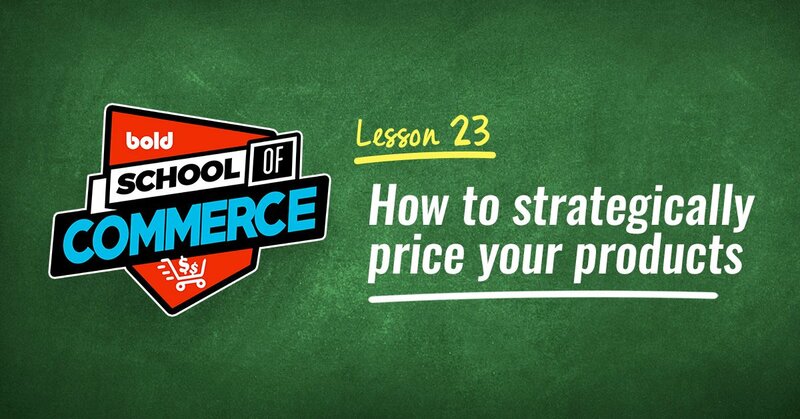 This phenomenal eCommerce podcast, hosted by Bill Murphy, gives listeners insight on how they can make the most profitable decisions for their online business. Forever Jobless was created for Bill to share his journey and help others succeed as much (or to a greater extent) than he has! Neville has a really good conversation with Bill in this episode, discussing his hustles in high school (selling burned CDs, creating a dropshipping company, etc.) and how these projects lead him down the entrepreneurial path. From financial blogs to being nearly being sued by Facebook for creating FacebookProfile.com in 2006, he recalls it all! You don't need money to make money! In this episode, Bill talks about the importance of having a long-term selling game on Amazon rather than just capitalizing on short-term gains. He talks about how if a product competes on strictly price, they are not built to last. Market arbitrage will only make temporary income. This episode has a lot of value because it proves you don’t need to have a lot of employees to have a well-structured business. More often than not in eCommerce, the leaner the workforce the better! Some entrepreneurs enjoy wearing all the hats in their business. In other words, if they decide to hire more than 2 people, they become overwhelmed when training them. Not only that, but employing to many people will transition your role to manager (which not a lot of people want to be). You’ll learn all this (and more) during this episode. You may find out if being “manager” is something you really want to do (or not at all)! 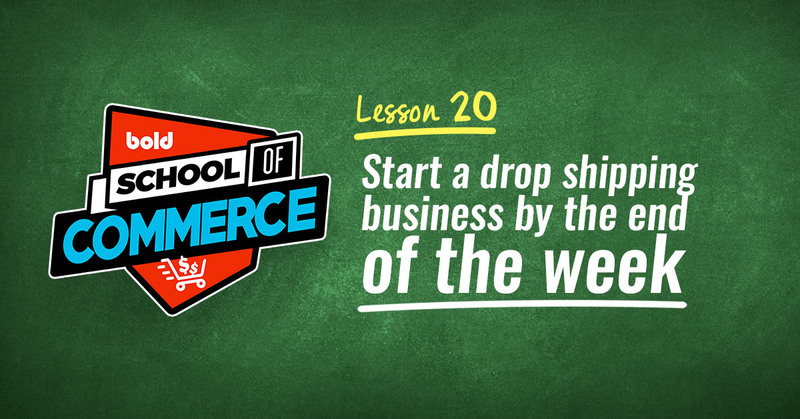 You may have heard of this eCommerce podcast without realizing it. Private Label Movement was known as the “Private Label Podcast” up until May 2017. This eCommerce podcast is designed for progressive entrepreneurs who are dedicated to living life on their own terms, while creating their own wealth. Remember our friend Drew from Nerd Marketing? He makes an appearance on this podcast with an absolutely killer interview! He and Kevin talk about private equity and the difference between success and a bust. Drew talks about how to grow by increasing your AOV (average order value) in a fun, casual tone that draws listeners in with ease. This interview is held between Kevin and a man named John Jonas. John had a slew of problems handling so much of his business by himself before he tapped into outsourcing. This may be a quick episode, but it’s packed with value! For online sellers, dealing with third party storage is nothing new. Recently, the Amazon FBA has grown in popularity (since they don’t nickel and dime sellers for much of the year). In this episode, Kevin focuses on how important to know how much inventory you have at Amazon and what it costs. Scott Voelker, otherwise known as “The Amazing Seller”, shares his eCommerce marketing tricks (as well as his Amazon FBA skills) in this podcast! He interviews experts in this field to help listeners gain success through an online business. In this episode, Scott goes over brand focus vs. open brand. He tells listeners that a open brand is similar to a hardware store: There are many products and a great variety of things to buy. Hence, open brand caters to the open market. He argues that brand focus is similar to going into a hunting store: You will find items pertaining to hunting. Hence, brand focus caters to a specific market. Not to mention, he gives listeners insight as to what he prefers and why. This episode is great for anybody that ships items big objects in large quantities through traditional shipping methods. Michael Gallardo and Scott discuss when the right time to seek out a freight forwarder is, potential troubles with customs, and why you should use custom brokers. He teaches listeners how to make Amazon search algorithms work for you. By using the auto generator in the search bar, Amazon takes all of their data points together and lets you know keywords you should optimize into your listing! He also lists tools to help find keywords across platforms such as keyword.io and the Chrome plug-in, Scope. WOW! What an amazing collection of interviews, podcasts, and great people. If you listen to the 45 episodes we've laid out here, you'll become a sales machine. Before you know it, you'll be hiring a full team of people to run your business so you can focus on what you do best - growing it! 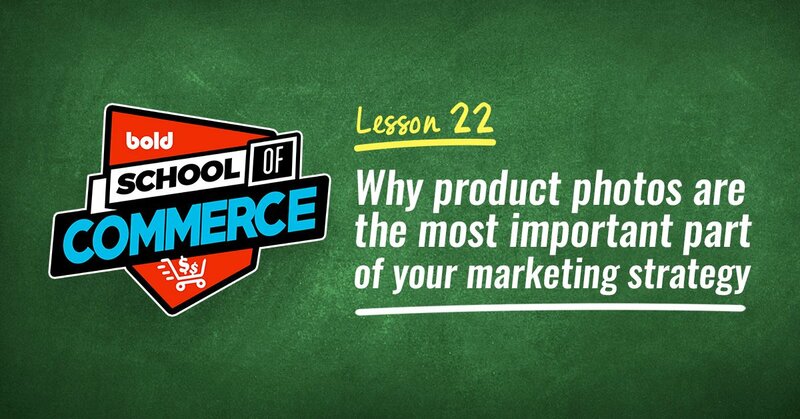 There’s a ton of eCommerce related podcasts out there, though. These are just a few of our favorites - there are certainly a lot we missed. What are YOUR favorite podcasts and episodes? Which interviews have had the biggest impact on your store and life? Let us know in the comments below!